Last month, Twitter rolled out Twitter advertising for small and medium businesses in Australia. Prior to its release in Australia, businesses had to spend a minimum of $15K if they wanted to advertise on Twitter making it difficult to SMBs to use the power of advertising. 33% of Twitter’s revenue comes from businesses outside the U.S. This may explain why Twitter chose to adopt a strategy to expand its reach and target more markets, including small and medium enterprises to create new revenue streams for itself. Interestingly, a recent study by Twitter reveals that 70% of Australian Twitter users claim to have positive sentiments about a brand after discovering them on Twitter, out of which, 62% also state that they made purchases from an SMB owing to its Twitter influence. Therefore, it’s a win-win situation for both, the platform and the brands that advertise on it. 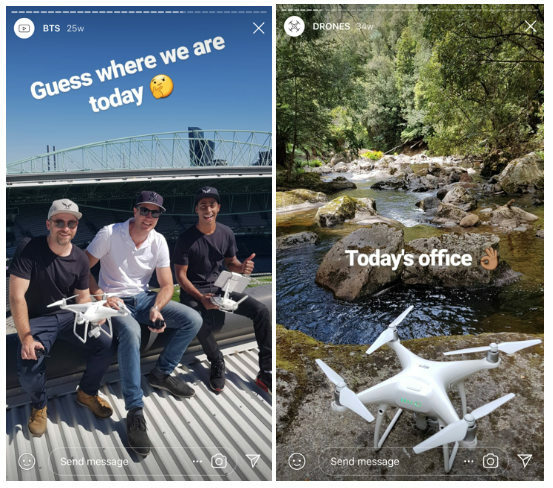 The good news for you as an SMB based in Australia is that you can now use Twitter ads to geographically target users within the country, with no minimum limit on your ad spends. Furthermore, you can also limit the targeting by state if your business demands it. Test the different goals set up by Twitter to meet your goals more accurately. 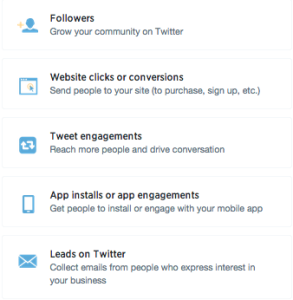 Twitter lets you choose between the following objectives while setting up your campaign. As a small or medium-sized business, you could select an objective that helps you drive online sales . For instance, if you wish to drive traffic to your website, Twitter lets you set up different conversion goals like registrations, checkouts or sales (and use custom Twitter pixels) to measure ad performance against each of these goals. Or you could even choose to get leads directly on Twitter just as someone sees your sponsored tweet. This kind of flexibility allows your advertising efforts to tie in with business objectives like never before, letting you measure each step until your final sale. We’re still waiting to see if Twitter’s location targeting gets as specific as Facebook or LinkedIn letting us reach users by city or even deeper. However, you can currently capitalize on other targeting options like followers, interests or keywords in combination to location targeting for optimal effectiveness. Test different variations and you’ll get an idea of what works best for you. If you’d like to read some case studies on how small businesses like you are using Twitter for success, feel free to check out the official Twitter blog. To stay up-to-date on digital media trends and advertising tips for small and medium businesses follow us on Twitter @swoopdigital. This week, LinkedIn launched the ability to create and advertise unpublished posts from company pages. Similar to Facebook “dark posts,” LinkedIn’s “Direct Sponsored Content” gives advertisers the ability to advertise content in users news feed without the content appearing in the on the company page. Personalise their message to different audiences. Marketing is more effective when messages are more relevant to the target audience. Having the ability to tailor messages to specific audiences or even test messages within a specific audience is cheap research that can help you learn more about your audience. But it’s not just about the testing. Direct Sponsored Content can help with lead generation. Your challenge, should you choose to accept it, is to develop the right offers that generate leads. 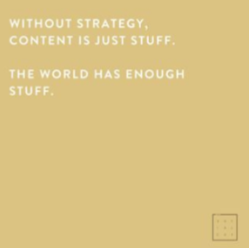 This is where having a solid content strategy can help. Ad hoc content promotion without a strategy is simply going to be less effective. The feature will be available in LinkedIn’s campaign manager – where is were you can run ads or sponsor content. It’s a logical extension to their Sponsored Content advertising feature that was launched last July. At the moment, a dozen or so companies are participating in the pilot and you need to speak to your LinkedIn representative to access it or access one of the few LinkedIn partners. We’ve yet to see it appear for in out company campaign manager but that’s no surprise – it’s in pilot mode. With 19% of LinkedIn marketing solutions revenue from sponsored posts, it’s likely to be rolled out to the masses in the not too distant future. Keep your eye open for it when it is rolled out – it’s great feature to look out for – especially if you are in the B2B space. In the meantime, you can still promote content in LinkedIn. It’s just that you won’t have the ability right now to control what appears on your company page. Here’s how it will appear when it does eventually roll out to Australia. There is no doubt about it – LinkedIn is a powerful platform and a great way to help build your professional reputation. Apart from participating in Groups, LinkedIn’s now allows you to publish your content on LinkedIn. But it can take a bit of courage to get out there and put your thoughts out in front of a large audience publicly. Before you dive in you need to consider if LinkedIn Publishing is right for you and what are some of the gotchas to be aware of. Should you use LinkedIn Publishing? This is going to come down to your objectives. What do you want to achieve? If your goals are either to become known as an industry thought leader or to attract potential employers, then maybe it is worth considering. Remember, you are publishing on your personal profile so you really need to think about what brand YOU stands for. Helps you get more credibility within your LinkedIn Community – people gravitate to leaders. Demonstrating leadership helps build authority. Increases referral traffic to your website or blog – moving people to your assets, gives you the opportunity to generate business leads if you have the rights systems in place. Access to analytics that gives you insights into what demographics is most engaged with your content and just as importantly, what content your audience finds the most engaging. Remember you are publishing on someone else’s platform – you don’t own it. If LinkedIn change the rules, then your content is at the mercy of LinkedIn. People did the same on Facebook and are now complaining because no one sees their posts. It helps if you already have a reasonable number of connections on LinkedIn. If you only have a few connections you may not get much traction. We recommend not putting all your content on LinkedIn. Your main content hub should always be on your own website or blog. Publish content to your blog first and foremost. It is never wise to put all your eggs in one basket – ever! Find your best content that matches your LinkedIn communities interest and publish that on LinkedIn. Ensure your articles are full and complete with great insights – no fluff and no plagiarism either. Be authentic. Use appealing images that match the content. 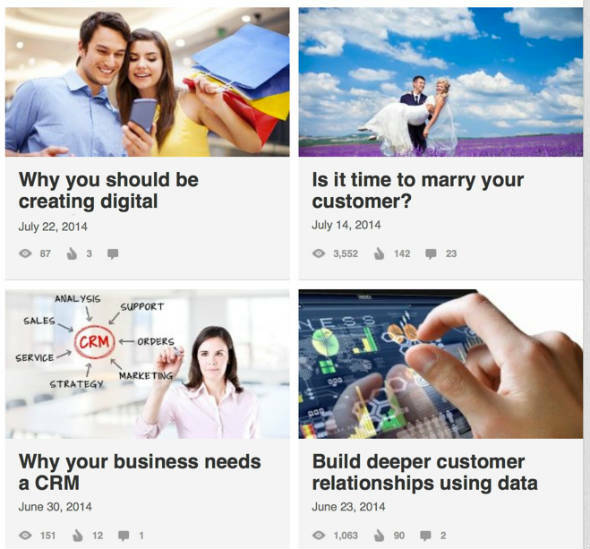 Your content should be related to topics like business, leadership, careers, employment and management. You may even want to consider rewriting the content so it is unique. Pay particular attention to rewriting the headings – you don’t want the content on your website to compete with LinkedIn in Google search (though Google is becoming increasingly better at sorting that). We also recommend you re-purpose the content so the content is unique. In other words, don’t copy and paste the content from your blog. Re-write it. Make the most of your bio section – include links to your own digital assets. Don’t expect that people will find your content – you also need a strategy to promote your content. Share your content to your other digital assets – like Google+, Twitter and Facebook and consider sharing to key influencers who can help promote your content. Once your content is published, make sure you monitor any comments and remember to evaluate the posts performance by using LinkedIn’s analytics. Write appealing headlines. This doesn’t just apply to LinkedIn – it applies to all your content. Compare the difference between these posts on LinkedIn. Notice the posts that got more attention and comments were the ones that arouse curiosity or demonstrate a benefit. Is your business on social media but struggling to get the right customer engagement levels and increased sales you’re looking for? Have you set up a presence on most popular social platforms, which you seem to regularly update but aren’t necessarily getting the results you expected? The key to social media success is to stop focusing on the tools. Focus all your efforts on your audience instead. Forget you’re a brand for a while and behave like a human interacting with his fellow beings. So what do people like in you, why should they listen to you or even talk to you? Why should they invest in your product or service? These are just some of the questions you need to answer. On a more serious note, you need to put in much more thinking and have a well planned and thought off strategy behind your efforts on social media. Follow these simple 7 steps to build your way up to a great social media presence. 1) Define your social media goals. List down all your current social media initiatives to date and focus on learning what’s working and what’s not. Follow your competitors closely to see who’s doing it right and how they are using social media to interact with others. You might even want to consider performing a SWOT analysis for your brand’s social media presence to put things into greater perspective. 3) Understand your target audience. Begin with creating target audience profiles of your existing customers. This gives you an insight not just into their demographics and psychographics but also other essential traits that you might otherwise miss out on. This will also help you make better, more consistent decisions while culling out your strategy. Listen to your audiences’ conversations on social media carefully: where they are, what are they saying, when are they saying it, why are they saying it? Use available social monitoring tools to dive into their discussions or comments – positive and negative. 4) Layout your social media landscape. Based on your research in points 1, 2 and 3 above, identify the key tools you will be using to engage with your audiences. Don’t carelessly choose to be there because everyone else is but strategically select your primary and secondary platforms based on your audience’s usage of these media and how well they tie in with your overall social media objectives. 5) Develop your content strategy. Some questions you need to think about include what type of content can you use across the chosen platforms? Which content resonates with each of your audiences on these platforms? Do you have any existing newsworthy or interesting brand content that you can spin around and leverage upon? Who will be creating your content assets on an ongoing basis and what is your content marketing plan going to be? How often will you be posting, at what time and how will you be tracking performance? As a part of your content strategy, develop an editorial calendar for each of your social platforms that enlists important dates, sample content topics and conversation themes, media assets you will be using and how you will be re-packaging and marketing the content. Also remember to draft your content well in advance to avoid any setbacks. 6) Layout your social media policy guidelines and internal communications processes. 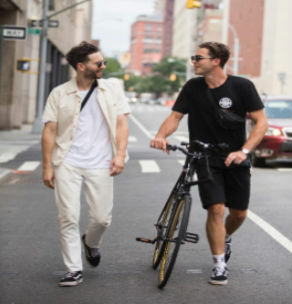 Your social policy guidelines will give everyone working on your social media an in-depth understanding of your brand and it’s tone of voice. It’s also important to list down a set of do’s and don’t’s for anyone representing the brand publicly. Develop an internal communications process beforehand for your content approvals and to align any customer queries to specific departments. Managing your time well on social media is a crucial key to customer satisfaction. 7) Monitor your progress closely on an ongoing basis. Write down a list of KPIs on which you will be measuring performance across all key platforms in addition to your overall goals. Remember to look at quantitative and qualitative achievements. Examples of quantitative KPIs include increase in followers, engagement levels, visits to website, direct conversions etc. Qualitative KPIs on the other hand involve measuring changes in user sentiments over time, increase in brand recognition or recall etc. Create monthly reports benchmarking your performance against the goals you had set up. Constantly tweak your efforts as and when required to measure up to your KPIs. Hope this gives you a clear picture on how to get started on your social media strategy development. We specialize in helping companies create and implement their social media strategies. To know more about our services, get in touch with us here. 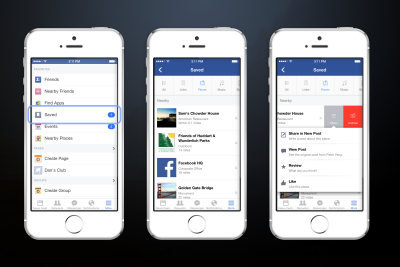 Earlier this week Facebook announced it’s new feature for newsfeed called ‘save’. Remember how difficult it was to hunt back a post in history, or search for that music video someone had posted, or re-read an article you had really liked? 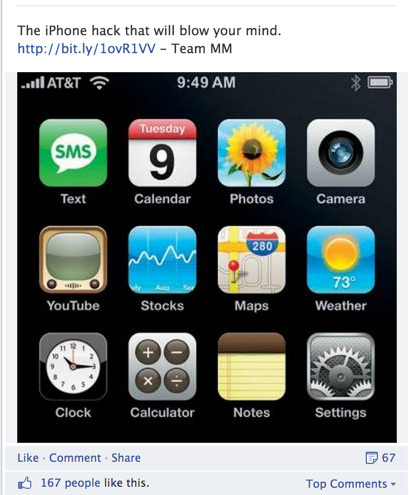 Well, with Facebook’s new feature, you can now bookmark items you see on your newsfeed to read them later. These can include links, places, movies, TV, music and more. This can be done on both desktop and mobile devices. You can access the saved items on the web, by clicking on the Saved feature on the left-hand side of your News Feed. It is also visible under your activity log. On your mobile device, clicking on the more tab will enable you to do the same. You can choose to keep your saved items private or share them with your Friends. Facebook will also give you reminders in your newsfeed about the items that you have saved. Facebook’s smart move is directed towards keeping its users within Facebook as opposed to using other popular sites like Pinterest for bookmarking content. Moreover, with Facebook rolling out this new version of Save, it could put it in more direct competition with Twitter, which also centers around news sharing. People have also been using Twitter’s ‘Favorite’ button in a similar fashion to bookmark content. Facebook in their blog post have claimed that Save will be available to all iOS and Android users, as well as web users, over the next few days. Has this feature been enabled for you yet? Share your comments on it with us below! Marketers can now target users who have connected to them outside the Twitter environment through Twitter remarketing, also known as Twitter retargeting or tailored audiences. During the beta testing stages of Twitter retargeting, brands received a promising response. A brand saw an improvement of 45% in its engagement rate while another company drove a 74% decrease in its CPA. 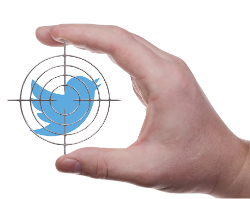 How does retargeting on Twitter actually work? Let’s say on a travel website, a user searched for flights to Las Vegas and another user searched for hotels in London. You can now target both these users on Twitter showing them sponsored tweets with tailored messages based on their past browsing behavior on your website. Wondering how this is made possible? Through cookie based browsing data. When a visitor visits your website and leaves on a certain page, his browser cookie ID gets saved. Twitter remarketing partners then add this ID to the appropriate remarketing audience list you have created. They then share this information with Twitter and Twitter matches it to an existing twitter id and shows that user a relevant sponsored tweet. While Twitter lets you target users you want, it respects user privacy and doesn’t share their twitter information with you or Twitter partners at any point. A Twitter user can also choose to untick the box next to ‘promoted content’ in their privacy settings in order to bail out of receiving promoted tweets. Moreover, Twitter also supports DNT (do not track) for users who have disabled sharing browser related information in their browser. Continue using basic Twitter targeting filters (e.g. Geotargeting, Device and Gender targeting) along with this feature to further enhance your campaign’s performance. Test out offer/discount/incentive based tweets versus simple message based remarketing tweets to get the best results. Run a promoted accounts campaign via remarketing alongside to get your existing customers to follow you on Twitter. Ensure you are engaging with your Twitter followers on an ongoing basis. The more the organic engagement, the higher are the changes of getting a response on your sponsored tweets. Keep in mind, it’s always wise to invest in long-term loyalty than just a one-time conversion. LinkedIn have recently made a lot changes since I last wrote about LinkedIn, but as a key platform for business professionals and those marketing to other businesses we thought it was timely to write about the changes. The product and services section in Company pages is being retired on April 14. As a result you won’t be able to showcase your YouTube videos on your company pages any more. LinkedIn have introduced Showcase Pages which could be viewed as an alternative to the soon to be defunct products and services page. Introduced in November 2013, Showcase pages enables companies to showcase various products and services. It’s a good feature for companies that have multiple products or those that offer lots of different and unrelated services. Bear in mind, you need resources to support it. if you are a smaller business, allocating resources to maintain each showcase page may not be very realistic. Smaller businesses may be better off focusing on building up a following on your company page (unless there is a strategic reason for you do otherwise). It’s probably a good idea from a search engine optimisation point of view. LinkedIn also added analytics support to Company pages in August last year – you can now view social interactions like comments, likes, shares and followers in the analytics section of your company page. You can (and should) use these insights to find out what content really interests your audience. It also helps to make the advertising more accountable because you can measure social interactions. To give your content a boost, you can now sponsor company page updates on LinkedIn (similar to how you can promote Facebook page posts). This is a useful way to amplify your content – particularly since LinkedIn members tend to spend less time in LinkedIn than they do on Facebook. 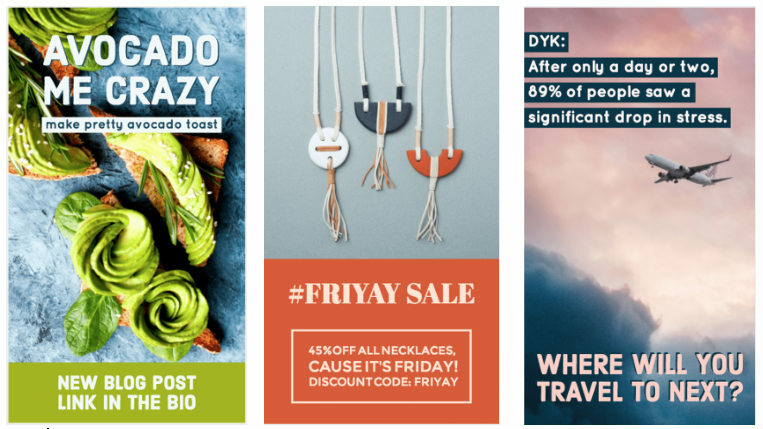 We tested sponsored post ads for a few days on a limited budget. Whilst the experiment was not exactly scientific, we found bidding on a CPM basis was quite high – almost double that of CPC. It’s worth trialling over a longer period. To be really effective on LinkedIn though, you need to have a good support funnel. There are some types of ads – like opt-ins for free stuff that work well. However, if running these sorts of ads, you need a solid sales funnel for back end sales. The costs per clicks of the ads were also significantly more expensive than Facebook. Advertising on LinkedIn is still limited to those tiny little ads in the bottom right of the page. You can can advertise banner ads and text ads but if you go direct to LinkedIn, you need to have a minimum budget of $25K. An alternative to this, is to use the Google Display network. Your ad may show if there is spare inventory. You can now only make status updates on the home page and not on your actual profile page. The ability to write your own posts arrived in feb – we recommend keeping long form content on your website – its the only asset your own. LinkedIn Today is gone – it has now been replaced with LinkedIn Pulse which delivers information on trending new and topics of interest. LinkedIn Signals has also gone to graveyard. Signals had a few useful features – among them was them was enhanced search functionality like the ability to save searches as well as the ability to filter content and streams of content. Some of these features still exist – they just aren’t part of signals. Plus LinkedIn have updated their search functionality without the need for signals. New to Twitter? Not sure where to start? Never fear – here’s a list of must do’s we’ve compiled for anyone starting out on Twitter. Quite often we’ve seen regular users forget these basics too. We’ve certainly been guilty of it. The key is to respect your fellow tweeters in the twitter space if you want them to engage with you. 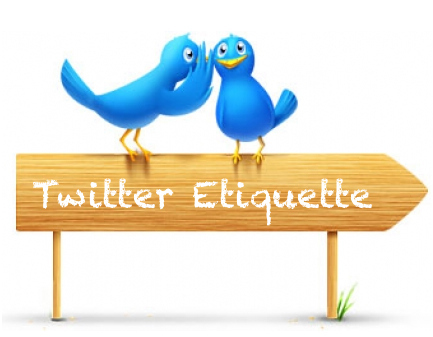 Ensure you abide by these 15 rules to maintain proper Twitter Etiquette. 1. Say thank you: Remember to occasionally thank users who retweet you, @mention you or link to your blog post. Don’t we all feel good when thanked? 2. Use hashtags: While hashtags are a great way to get your tweet noticed by the twitterverse, make sure you don’t over use them. Use a maximum of 2-3 hashtags per tweet. 3. Be polite: Don’t tweet anything you wouldn’t say in person. It remains on the social web forever and cannot be deleted. So remind yourself to be polite, always! 4. Interact a lot: Interact, interact and interact not just with your followers but also with people who do not follow you yet. The more you engage with them, the higher are their chances of them following you and responding to you. 5. Be consistent: Don’t tweet all at once. If you have limited time in hand, schedule your tweets every week or every fortnight using auto publish tools like Tweetdeck or Hootsuite. Remember you have to be consistent not sporadic in your approach. 6. Followers first, brand second: Tweet what your followers like to hear, not what you want to say. This is not a one way communication platform but a two-way interaction forum, so respect to your followers’ interests. 7. Respond quickly: Have a fast turn around time for follower queries and mentions. Someone writing to you now, may not be on Twitter a couple hours later. Hence you have just lost an opportunity for a conversation if you’ve not responded on time. 8. Restrict your characters: Although Twitter allows for your tweet to be 140 characters in length, stick to 120 characters only. This will leave room for others to retweet you. 9. Have a personal tone of voice: Even though you may be tweeting for a professional business or brand, keep a personal tone of voice if not informal. Remember users tweet, brands don’t. Similarly, people interact with other people not brands. 10. Be creative: Share thoughts, ideas, comments or stories. Ask for opinions. Give out the latest on your brand. Anything unique and of interest to your followers will be appreciated by them. 11. Strive for engagement: Quality engagement is key. Don’t strive for followers, but for high levels of engagement. Increase in followers will happen automatically if you’re providing users with worthwhile content to engage with. 12. Say no to auto follow: Do not use auto follow tools, be selective. Look out for bots, you don’t want to be seen following them! Identify your most active followers and follow them. Find influential people in your business/industry to follow. 13. No spamming: Do not spam your followers with sales related tweets. Remember they are not on Twitter to hear about the price or specifications of your products. Instead, find out for ways to engage your followers around exciting aspects of your brand’s content. At least 2 out of every 3 tweets that you post should be generic or informational and not related to your brand! 14. Listen to conversations: Listen to what your followers are talking about. Keep an ear for what they’re saying about you. What are their sentiments towards your brand? Are there common topics of interest they are discussing that you could add to? 15. Be prepared for crisis: Keep calm during a crisis, and do not lose your cool. If the matter can be handled online, do so politely. If not, it’s best to take the matter offline. Is there anything you’d like to add to this list? Share your thoughts in the comments below. How to Improve Facebook Engagement on your Page? You may have noticed that as the fan base of your page increases, it becomes more and more challenging to engage your audience. Moreover, with Facebook limiting the organic reach of your posts in the last couple months, it has become even more difficult to maintain consistent Facebook engagement rates. Posting quality content is the key to obtaining for success on Facebook. It’s not all about selling. It’s about posting content that is engaging, conversational, arouses curiosity or is inspirational. Don’t forget an average user likes over 100 pages, so the battle boils down to how you can keep them intrigued in your content for them to interact with it. But what do you mean by engagement? 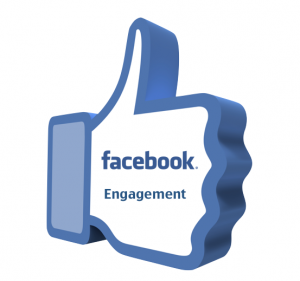 Engagement is a measure of how your fans interact with your posts. Not all interactions are equal. Likes are generally easier to get than shares and it is believed that Facebook’s newsfeed algorithm takes this into account and weights each interaction differently. Shares and comments are highly valued. You need to experiment with different content types to find out what resonates with your audiences. You can use Facebook Insights to filter out what posts are more engaging. Look for spikes. Do more of what works, and less of what doesn’t. Using insights will also help you further filter your content strategy. 2. Kind of post: Do your fans enjoy informative content? Do they react when asked a question? Or respond to good humor? Are they looking for tips from you? 3. Length of post: Also look out for the length of your posts. Do shorter posts get higher engagement than longer posts or there is no difference? 4. Time of post: During which hours do your posts get the maximum reach and interactions? Is it when you post early morning or late evening? Keep an eye for odd hours as well as sometimes your posts tend to get highest reach outside business hours. 5. Day of Post: Identify the day of highest engagement in the week. Post higher no. of posts that day as compared to days with lower levels of engagement. 6. When fans are online: Using Facebook insights page level data, you can find out during which hours your maximum fans are online each day. Ensure you post your updates during these peak hours. 7. Unlikes: Look for cues like a possible pattern in the unlikes you are receiving. Are you losing fans if your post frequency is too high some days (over 2-3 posts)? Are you also losing fans by posting at a specific time or by updating any specific type of content? 8. Age Group: Identify the most reached vs. most engaging age group on your page. This will help you tweak your tone of voice and type of updates accordingly. 1. Ask Questions: Questions will tend to elicit answers as you are directly asking your fans for a response. Questions could be of various types including opinions, true or false, did you know etc. 2. Use call to actions: Include a call to action in your post. Ask for a like or a share. For instance, you may say ‘Like’ if you agree or ‘Comment’ and tell us why you don’t. Alternatively, try using Facebook’s new call to action buttons in your post and see if they improve click throughs for you. If you don’t ask you don’t get. This simple tactic can work well but don’t overuse it. 3. Run contests: Fans are always eager to receive some form of incentive for their participation. You can choose to run simple wall based contests or more robust app based contests for your fans depending on your budget and objectives. Reward your fans by giving them an incentive, which could be as simple as updating your photo cover with their picture or dedicating a page post thanking them. 4. Fill in the blank: Ask users to fill in the blanks on your update. This works very well for generating comments, as users often like to boast their knowledge. 5. Quotes: Use quotes to attract attention. Users visit Facebook for interesting content, if they like your quote then they won’t shy from liking or sharing it with their circle of friends. 6. Photo Captions: Upload a photo and ask users to caption it for you. 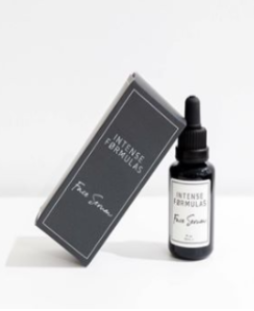 This could be an artistic product shot or a picture connected to your brand. You can also choose to reward the best caption. 7. Identify the person/object/place/artist: For example, if you represent an airline company, you could upload pictures or videos of a destination you fly to and ask users to guess its name. 8. Spot the difference: Upload two similar images with 5-7 differences in them. Ask your users to spot the differences in both the images. You could use your brand’s products in the image and it also works in subtly increasing your brand recall. 9. 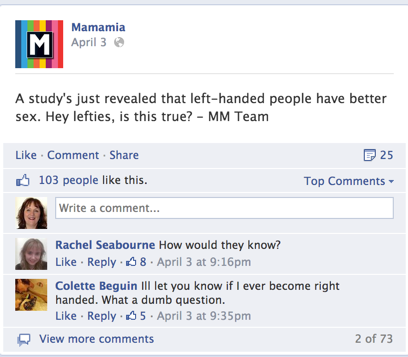 Arouse curiosity: If you have ever followed Mamamia on Facebook you will know what I mean. Below is post that uses curiosity to attract likes, shares and comments. It attracted 167 likes, 67 shares and 53 comments. What if your engagement is still low? 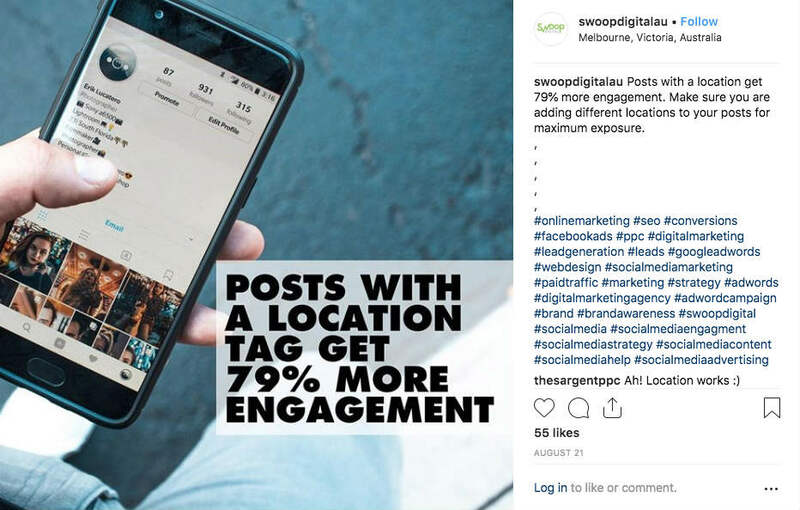 If you find that engagement is low despite following these tips, you might need to look at the reach of your page posts. The fact is, if Facebook thinks no one is interacting with your page, then it won’t push your content into your fans news feed. As a result, it will be challenging to get engagement if a large percentage of your fans don’t see your content. Therefore, you will need to employ a different strategy and use Facebook ads to boost your reach to get some engagement – but make sure you promote your best content by looking at your Facebook insights first. As engagement improves, you will find that your posts will get more reach organically. Do you have any other tested ideas or tips that have helped amplify Facebook engagement for your page?